Savills is proud to be the principal sponsor of the Sevenoaks Vine Cricket Club. 2017 will be the 24th continuous year of support. 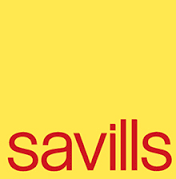 With a multi-disciplined office comprising sales, lettings, planning, consultancy and development, Savills Sevenoaks offers an all-round unrivalled property service. For Lettings please contact John Roberts on 01732 789 770. Providing bespoke marketing services to house builders, developers and private clients across Kent and Sussex. Working with many of the region’s leading developers on the consultancy, marketing and sales of new homes – from urban apartments schemes to rural developments of family housing. Dealing with all aspects of the project from start to finish which includes advising on layouts, specification, show homes, valuations and residential development agency. Savills Planning is now ranked as the No.1 Planning Consultancy in the UK operating from 21 different offices across the UK. The Sevenoaks team, which consists of 10 planning professionals, focuses on work in Kent, Sussex, Surrey and South London and retain strong links with many local authorities in the area.